FHA can help you obtain a mortgage. When President W. George Bush signed the Housing and Economic Recovery Act of 2008, part of the bill contained the FHA Modernization Act, which passed both the House and Senate in 2007 and became law on July 30, 2008. The Federal Housing Administration (FHA) and FHA loan regulations long needed "revamping" according to the Secretary of Housing, Alphonso Jackson, in a press conference in July of 2006. Fighting for the modernization of FHA and The Department of Housing and Urban Development (HUD), the act failed to be signed into law until it was combined into the Housing and Economic Recovery Act of 2008. The Housing and Economic Recovery Act, which did pass, was created to address the sub-prime mortgage crisis to make homeownership a reality for low to moderate-income families. The FHA was founded in 1934 in an effort to make homeownership possible for everyone. Over the years, due to federal regulations Wall Street standards, the FHA needed to modernize in order to help today's economy. President Barack Obama expanded upon the FHA Modernization Act by introducing the HUD Recovery Act in early 2009 to help families hit hardest by the economic crisis. Homeowners in fear of losing their homes May now be able to achieve refinancing help through FHA insured loans. What Does the Modernization Act Address? Due to tough economic times, the new and updated FHA guarantees up to $300 billion in thirty-year fixed mortgages for prospective homeowners in the sub-prime range. Under this act, lenders were asked to write-down the principal loan balances up to ninety percent of current market appraisal values. With this, the public's confidence in Fannie Mae and Freddie Mac -two of the largest mortgage lenders- would be enhanced. Along with modernizing the FHA, the Recovery Act of 2008 also introduced the Federal Housing Finance Agency (FHFA), the Federal Housing Finance Board (FHFB), and the Office of Federal Housing Enterprise Oversight (OFHEO). The creation of these agencies and boards is an effort to keep a tight fist upon not only the FHA, but also the private financial market offering mortgage loans. Increase FHA backed loans from 95% to 110% of the appraised value of homes. Lower required down payments to no more than 3%. Allows downpayment assistance from family members. Allows the FHA to insure up to $300 billion in fixed rate refinancing loans to borrowers in financial distress. 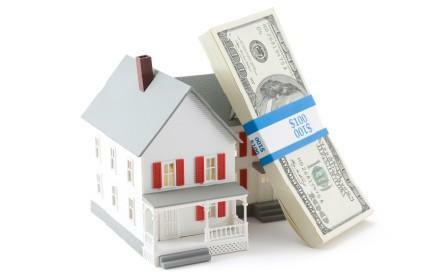 Shelter mortgage guarantees made on or after October 1, 2008 until September 30, 2011. A voluntary participation program for private lenders. How the specific points of the FHA Modernization Act and HUD Recovery Act will affect low to moderate income level families has yet to be realized in full. With the Wall Street issues in mid to late 2008, private home lenders, even though supported by the modernization act, were slow to lend money. Credit history and scores still proved to be more important than FHA government insured home loans. Financial experts expect the economy, including home lending institutions, to survive and revive by late 2010 and the Modernization and Recovery Act to end in September of 2011, which offers some hope for homeowners still unable to be approved for FHA home loans. It is important to note that the FHA does not lend money, however, this agency guarantees a percentage of home loans from private lenders who participate in FHA loan programs. For more information on how the FHA Modernization Act may help you, download a list of FHA/HUD approved lenders and make an appointment to discuss your home loan or refinancing needs or visit the FHA website.